It was when the Soviet Union invaded Afghanistan in 1979 that the so-called international jihad was resurrected in modern times. The invasion was seen as one by a communist power against a Muslim land, when communism was Islam’s fiercest ideological enemy. The idea enraged Muslims across the world and drove thousands to go to fight on the side of their fellow Muslims in Afghanistan. As the Cold War was becoming its most intense, the US-led West had a great interest in undermining Soviet influence in Asia but without having to go head-to-head with Moscow. To do so, the United States rushed to finance and arm the flood of Muslim foreign fighters going to Afghanistan. At the same time, the oil-rich Arabian Gulf region was the largest provider of men and donations supporting the fight in Afghanistan, all under the banner of ‘Jihad in defense of Muslims’. Jihad (Arabic for ‘struggle’), or ‘Jihad for the cause of Allah’, is a major duty of Islam. According to the Sharia (Islamic law), the word means any acts done or words said for the sake of spreading Islam or defending threatened Muslim lives, properties, lands, or women. Jihad also includes combating the desire to commit a sin in the presence of a strong temptation. After losing thousands of troops in the war, the Soviet forces eventually withdrew from Afghanistan in mid-1987, but the jihadist groups that had emerged there did not dissolve with the end of their mission and began to regroup. By 1988, two men, Osama bin Laden and Abdullah Azzam, established what is now known as al-Qaeda, a radical, violent Islamic group claiming to fight the ‘enemies of Islam’ and ‘defend Muslims’ around the world. A year later, al-Qaeda, along with other Islamic fundamentalist groups, created the World Front for Fighting Jews and Crusaders, marking the beginning of a major shift in the jihadists’ course of action. The Soviets were no longer the only enemy; the list of the jihadists’ targets grew longer, to include the West, its interests, and its allies, including Muslim ones. The establishment of the World Front marked also the beginning of a transformation in the jihadists’ structure and methodology, from several armed groups concentrated in one country (Afghanistan) into a transcontinental ideology and activity relying on a global network of underground terrorist cells. Over the next decade, jihadism spread like wildfire in many parts of the world. Al-Qaeda spawned branches in the Arabian Gulf region, the Arab West, Iraq, Somalia, the Philippines, Kashmir, Chechnya, Indonesia, Lebanon, and Syria, in addition to dozens of underground cells that lurked in Europe and the United States. Jihadism soon turned into a global security nightmare, with a series of bloody terrorist attacks carried out by jihadists against Western targets. In 2001, the terrorist attacks of 11 September awakened the entire world to the security threat posed by jihadism, as al-Qaeda managed to strike at the heart of the United States, the world’s greatest military power. In the wake of the 9/11 attacks, the world’s governments raced to issue anti-terrorism laws and take other preventive measures. Alliances were formed and fierce wars were waged against jihadist terrorism, but jihadism, as an ideology and an activity, survived and continued to thrive, despite the world’s constant efforts and the billions of dollars spent to get rid of the threat. Muhammad Barhoumeh, of the Emirates Center for Strategic Studies and Research, says that ‘global Jihad groups use the Quran and the Holy Tradition to justify their acts. They present themselves as a power capable of defeating repressive regimes, which makes them an attractive resort for certain components of society, especially the marginalized and isolated classes. The latter see Jihadism as their “salvation”’. The fact that the middle class has been shrinking in Middle Eastern societies, he says, is one reason we see so many young men following the path of jihad. Some analysts believe that the anti-West discourse of the regimes of several Muslim-majority countries also helped disseminate Jihadism. Portraying the West as a power that has long wronged Muslims and supported Israel, those regimes have brainwashed millions of their people, driving them to believe that they should do anything necessary to defend themselves. ‘Dictatorships have helped this orientation as a political and ideological doctrine at the expense of national oppositions’, says political analyst Fadel al-Khatib. The majority of experts, however, blame violent jihadism on the ideas cultivated by charismatic extremist Muslim scholars such as Sayyid Qutb in his book Milestones (1964) and charismatic leaders such as Osama bin Laden. The interpretations such scholars constructed for certain verses of the Quran and the Prophetic traditions became eternal and trans-generational. The chaos that prevailed in some Arab countries following the so-called Arab Spring also provided a fertile ground for jihadism, as many of the conflicts that followed were marked by religious fanaticism and sectarianism. ‘Failed states and shattered societies constitute ideal environments for Jihadist groups. The latter have no chance to live and grow under moderate, non-repressive governments’, says Barhoumeh. Salem al-Nuaimi, a specialist on Islamic groups, asserts that ‘international Jihadism is based on the idea of segregation among nations and civilizations. It hijacks religion and uses it to establish some sort of balance of power with whoever they see as their enemy according to their interpretations of religion. In that struggle, they don’t care if they break local or international laws’. According to Nuaimi, jihadists believe they are ‘the victorious’, even if they end up dying in the fight. From their perspective, victory is ‘winning the final Paradise’, a delightful afterworld that Jihadist scholars portray for them. ‘For them, it is a matter of spiritual salvation and repentance in which they lose interest in life and focus exclusively on the eternity of Paradise. As their lives stop being meaningful, they stop hesitating to kill and sabotage…. Sacrifice becomes a necessity to draw the World’s attention to, or defend a certain cause’. But attributing jihadism to economic, social, and ideological factors alone does not explain the involvement of thousands of Europe’s Muslims in international jihad. Recent studies indicate that about 3000 Europeans have left their homes for Syria and Iraq, in order to join the Islamic State, the most recent and largest manifestation of jihadism. 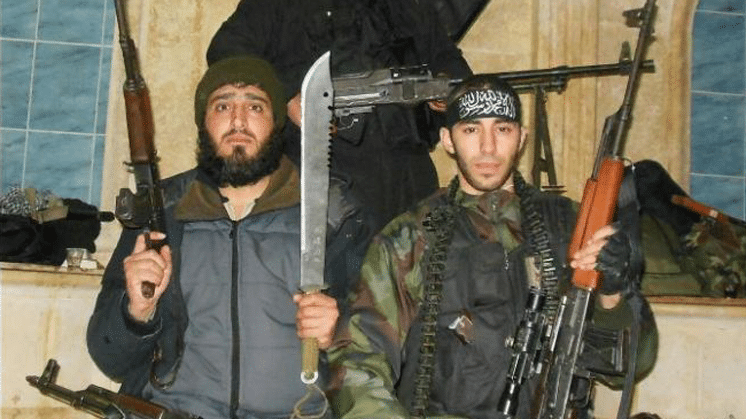 Earlier, hundreds of European Muslims had participated in jihad in Afghanistan, Iraq, and other regions, and many of them committed terrorist acts in Europe on behalf of jihadist groups such as al-Qaeda. Studies have shown that most European jihadists belong to the middle class. Many examples show that the majority of them were not isolated by their surroundings and were not even religious or well versed in Islam as a religion. ‘Some individuals are drawn out there because there is not a lot going on in their own lives’, says Raffaello Pantucci, an analyst at the Royal United Services Institute, a London think-tank; ‘for young men working in dead-end jobs, the brotherhood, glory and guns seem thrilling’. Other analysts add that the freedom of European Internet use and social media networks have provided extremely easy access to jihadist ideology. One part of the solution, says Nuaimi, is to work for some sort of social and economic equity in societies in which the youth are driven to jihad by the lack of decent standard of living. He adds that ‘an inclusive effort should be made to address and correct certain prevalent religious ideas, especially the ones which depict Muslims being victimized’. Over the past decade, a consensus has been reached among concerned experts about the need for a courageous review of the notion of jihad in the Islamic religious heritage. Many believe that unforgivable mistakes have been made throughout history in the interpretation of jihad-related religious texts. ‘It is time to understand that the interpretations of divine text are not infallible, and that there is an urgent need for them to be reinterpreted in the context of worldly knowledge as much as possible, in order to overcome the challenges that cannot be handled using half-solutions’, Nuaimi concludes.